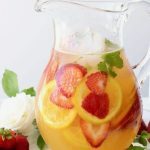 An easy summer strawberry sangria recipe made with white wine, a touch of orange and sweetened to taste with wild honey. 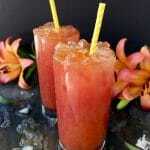 Perfect for a lady’s brunch party or to make for a crowd. Marked by fine persistent bubbles and because VOVETI prosecco has an orange blossom aroma, I just wanted to bring that out even more with a little squeeze of orange juice with the last of our oranges. To that I added lots of fragrant strawberries and a few sprigs of lemon balm, just because, but you can use mint instead. Refrigerate that for a couple of hours then serve over ice topped with some more bubbly wine. If you want to make it last for a couple of days, make sure to discard the orange slices after 5 hours or so, or they will make your drink bitter. Believe it or not, as soon as the morning dew has dried up, we over here in Southern California are about ready to jump in the pool and cool off from the heat. 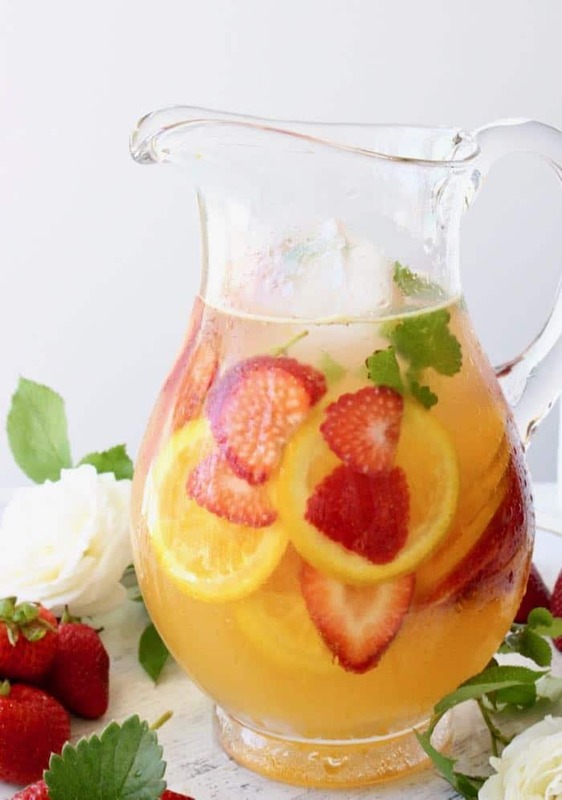 And what better way to do that than with a fruity cold pitcher of sangria poolside, right ?! 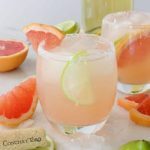 Best part about this recipe is that its made without sugar! So you don’t need to make any syrup, no mess, just simply naturally sweeten with honey. 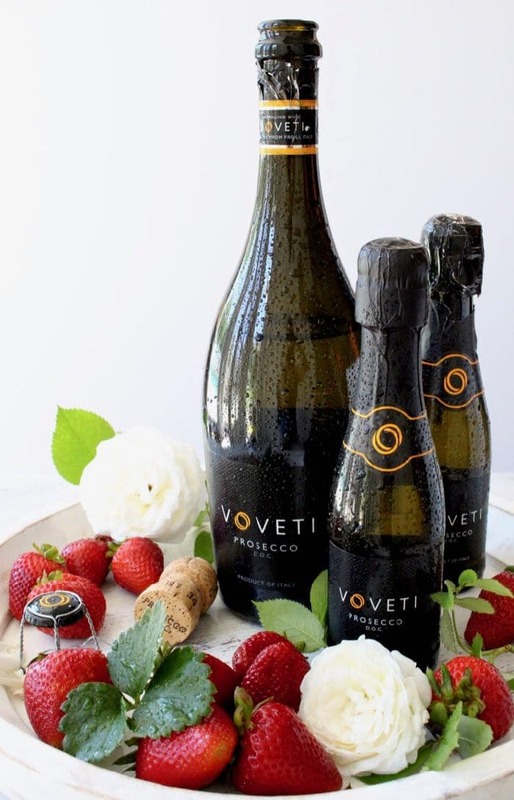 VOVETI prosecco is dry and features flavors or pear, green apple, melon and ripe peach that endure on the palate and invite a second glass. 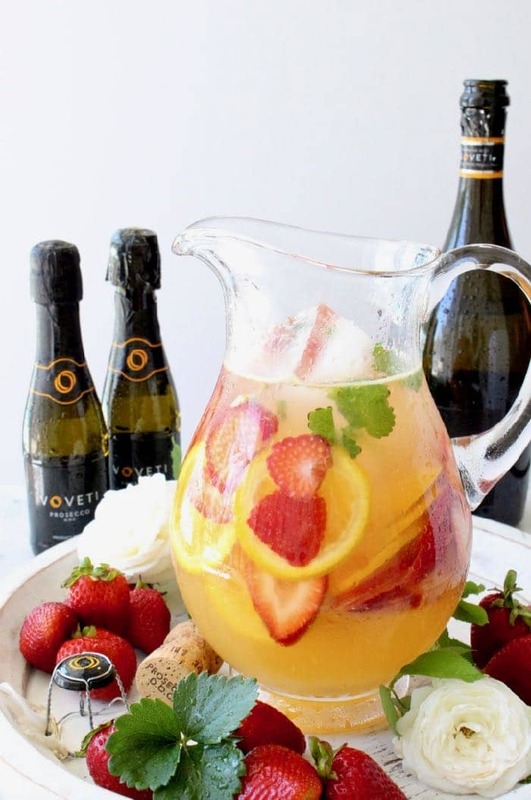 So you can get really creative with your sangria and go for peaches, pineapple, berries and even apples instead of oranges. Whatever fruit is available in your area, even frozen fruit works great as it keeps the drinks extra cold. Note worthy: Crafted from 100% Prosecco (Glera grapes), VOVETI prosecco is a dry brut DOC Prosecco with tempered acidity and a fresh, graceful profile. 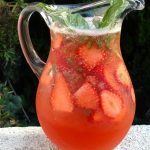 An easy summer strawberry sangria made with white wine, a touch of orange and sweetened to taste with wild honey. Perfect for a lady’s brunch party or to make for a crowd. Rinse the strawberries and using a pairing knife hull them and discard the green leafy ends. Slice them and add them to a large pitcher. Cut and squeeze the juice out of 1 of the oranges and mix well with the honey. Pour over the sliced strawberries. Slice the remaining orange and add to the pitcher. Top with the wine and refrigerate for a couple of hours. 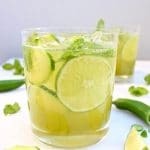 Serve over ice garnished with lemon balm or fresh mint.